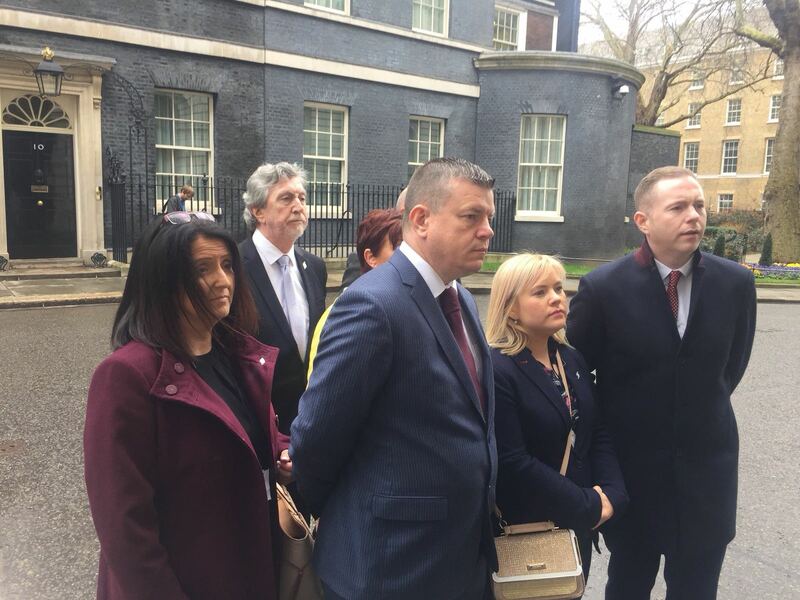 Loughinisland Families Present Petition and No Stone Unturned in Westminster. 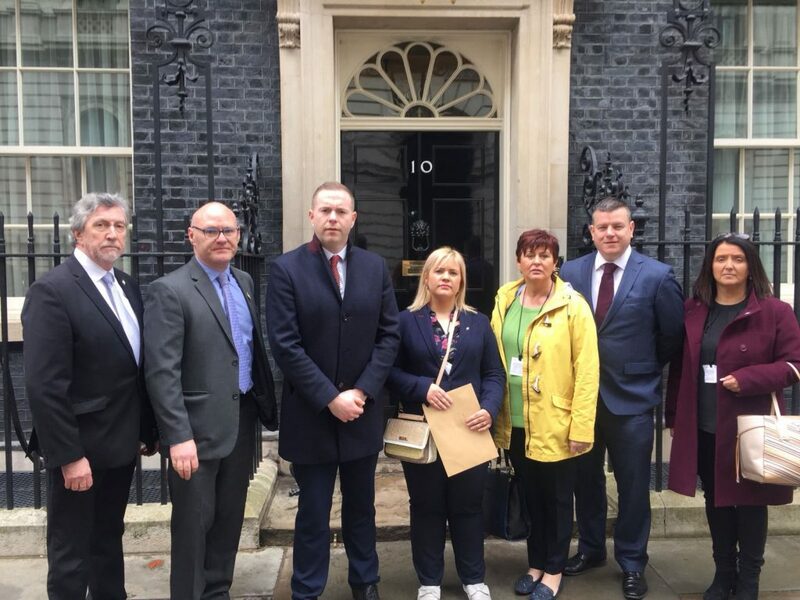 Families of the victims and survivors of the Loughinisland massacre, solicitor Niall Murphy and Chris Hazzard MP, Paul Maskey MP, Mickey Brady MP present the enclosed petition to the door of 10 Downing St calling for the immediate compliance by the British Government with its internationally binding legal commitments in accordance with the Good Friday Agreement, the Stormont House Agreement and further the European Convention on Human Rights. 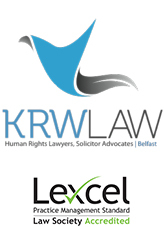 The families are concerned as to the Justice Vacuum which is emerging in respect of all victims and survivors and call for the immediate erection of human rights compliant legal architecture to provide the opportunity for access to justice for all, through engagement with the Coroners Court, the Police Ombudsman, the Historical Investigations Unit and the Independent Commission for Information Recovery. 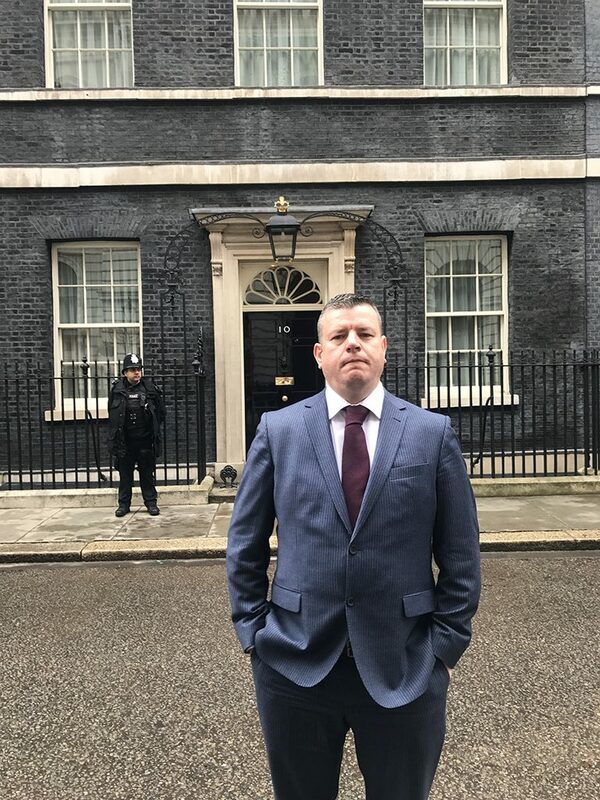 Later in the day, the families will engage with Secretary of State Karen Bradley and also the new Shadow Labour team before a screening of the documentary No Stone Unturned, completing the presentation of the film to the major Parliaments of the world, having presented in Dáil Éireann in Dublin, the European Parliament in Strasbourg and earlier this month in Capitol Hill, Washington DC. 19:00 – No Stone Unturned – followed by presentation and discussion.